The Chambers of Commerce Group Insurance Plan solves many problems for small businesses in addition to its central purpose of providing group insurance for your company. Our business is helping your business, and we do this by adding a number of value-added benefits to the mix when you join the Chambers Plan. Unlike group insurance plans from major providers, the Chambers Plan is run on a not-for-profit basis. This means any money made by the Plan goes back into the Plan, not to shareholders or other business divisions as they may at a large insurance company. This ensures not only that the plan is well-funded, but that your costs will remain low and predictable year-over-year. We have technology solutions in place that allow you to safely and securely self-administer your group insurance online, without the need for an HR department. Your employees can submit claims online without you ever seeing what the claims are for, ensuring their privacy under the plan. You’ll always see totals of what they submit claims for, but never what the actual claims are for. Plus, if there is a problem, your Plan is administered with the helpful people at Kennedy Insurance, who act as a de facto HR department for you when you need help. Whether you are a member of your local Chamber or not, your local Chamber of Commerce exists to fight for the interests of your business. If it has to do with furthering economic prosperity in your community and advocating for business owners, it’s on the advocacy agenda of your local Chamber. 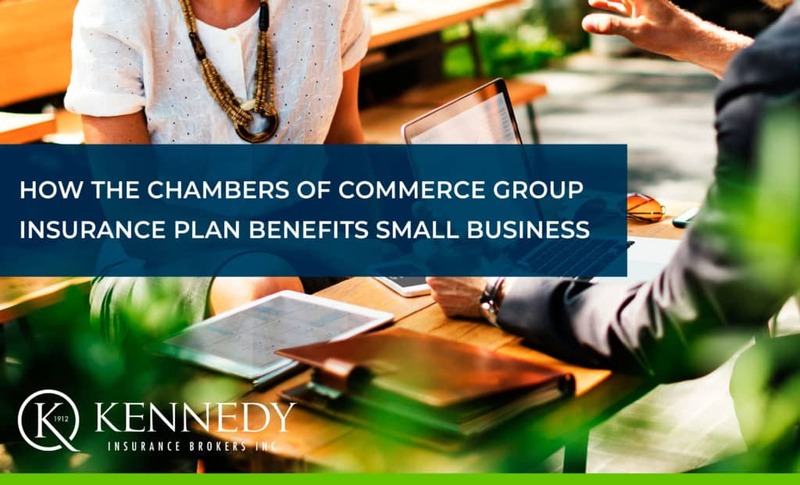 Money from the Chambers Plan supports these advocacy efforts, as do the membership dues from businesses who only join the Chamber to get group insurance. In addition to supporting your local Chamber of Commerce, The Chambers Plan sponsors Rotary conferences and puts money into small not-for-profits in your community. Annual chamber fees are on a sliding scale based on number of employees, and are payable once annually if you join the Chamber directly. If you join the Chambers Plan, split them up on your bill into monthly installments. You don’t have to pay a large bill all at once in January, when most small business owners are crunched for cash. This is also helpful for larger businesses which pay higher dues that are more manageable when divided into monthly installments. If you want to ask a lawyer a question, get an opinion from a certified professional accountant, or speak to a human resources professional, you get nine free hours of consultation per year with the Chambers Plan. You can get help from legal, accounting, and human resources professionals in various specialties, such as corporate or real estate lawyers. Kennedy Insurance is the exclusive provider for the Chambers Plan in North Bay and District, the Almaguin Highlands, Mattawa, Temagami, Temiskaming Shores and Area, West Nipissing and all points in between. Contact us today for more on how your business can benefit from joining the Chambers Plan.